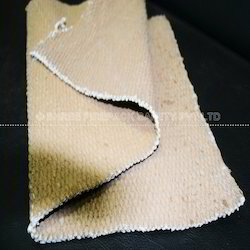 We are a leading Exporter of vermiculite coated ceramic fiber cloth from Ahmedabad, India. Shree firepack safety pvt ltd is the manufacturer of high quality vermiculite ceramic fiber cloth to the customers for catering to the needs of various industries . This cloth is ideally used as thermal insulation material. we offer these clothes to customers at most competitive rates. Looking for Vermiculite Ceramic Fiber Cloth ?